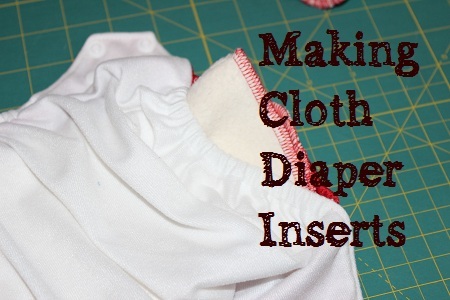 Why Make Your Own Diaper Inserts? Whether you're on a budget or not, making cloth diapers can be a great way to save money! Even if you prefer to purchase your cloth diaper pockets or covers, you can still make your own inserts! Cloth diaper inserts are the most important part of a cloth diaper - because they are the absorbent part that holds urine. The ability of fabric to absorb is the most important feature for your cloth diapers, because how much they absorb depends on the fabric you use! According to the FabricLink textile dictionary, absorbency is "the ability of a fabric to take in moisture." Not all diaper shells and pockets come with absorbent inserts included. Sometimes pockets include a microfiber terry insert, but for many diapers, the inserts must be purchased separately. For some brands, insert choices can be quite expensive - or the fabric choices quite limited. What Are Cloth Diaper Inserts Made Of? When selecting a fabric, you will see two words. One is the type of fiber used (i.e., cotton, bamboo, hemp, microfiber) and the other is the process that has been applied to turn the fiber into a fabric (knitting, weaving, etc.). Most cloth diapers are made with knit, rather than woven, fabrics. Knit fabrics contain loops of fibers that allow the material to stretch in one or both directions. Below, we'll spend some time reviewing both the fibers that are commonly used in absorbent inserts for cloth diapers and the fabric finishes or fabric types you will want to consider as you make your own inserts. The most common and easiest to find of all fabrics, cotton is a natural material made from cotton bolls, or the protective capsule that grows around the seeds of the cotton plant. Cotton is a native shrub in many areas of the world, including North America. Textiles made from cotton are soft and breathable, and it is the most widely used natural fiber cloth in clothing today (source Wikipedia). Most of your own clothing will be made with cotton, whether it's jersey (t-shirts), knits (fleece hoodies), or wovens (dress shirts and denim). While China is the leading producer of cotton, US-grown cotton is considered superior due to the longer, stronger fibers in American species. As a diaper fabric, cotton is soft and absorbent and is also easy to clean. CONS: May need many layers to be absorbent, can be bulky. Also, flannels can pill. TYPES: Regular, organic. Wovens: Flannel, birdseye. Knits: Terry cloth, french terry, velour, sherpa. Hemp makes a very thirsty and durable diapering fabric. Hemp fabrics are made from fibers removed from the inner bark of the hemp plant, and are usually blended with cotton fibers. Blending results in a softer fabric with longer longevity. 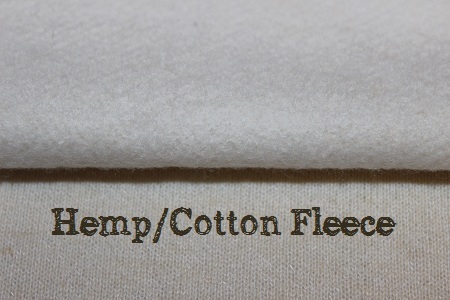 Most hemp is blended in a mix of 55% hemp and 45% cotton. The addition of hemp increases the absorbency over cotton fabrics of the same weight. Hemp is also considered antibacterial, which means it inhibits the growth of bacteria in the fabric. 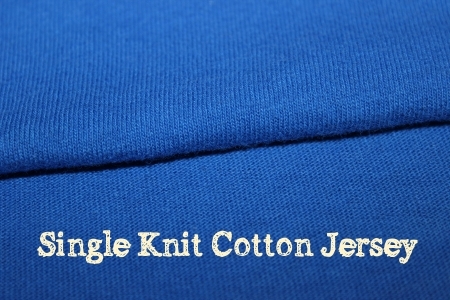 TYPES: Usually available as french terry, fleece or sometimes as jersey knit. Bamboo has become one of the most popular options for cloth diaper fabric, because it is highly absorbent. Bamboo is the most absorbent (by weight) of cotton, hemp, and bamboo natural fabrics, and it is a fast-growing plant that requires few inputs (i.e., pesticides, fertilizers) making it an environmentally friendly choice. The most popular bamboo fabrics on the market are made from rayon of bamboo. Rayon fabrics are made in a process called viscose, which relies on chemicals to dissolve the wood pulp into fibers that can be knitted into fabric. 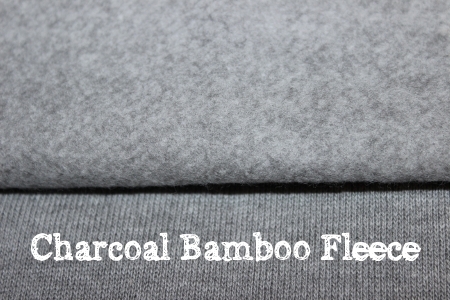 Our article on bamboo fleece provides more information on this process and some of the recent regulatory changes for bamboo labeling. PROS: incredibly soft (and gets softer with use! ), absorbs moisture very quickly, breathable, thermal regulating, dries quickly, can keep your baby comfortable and cool even when wet. 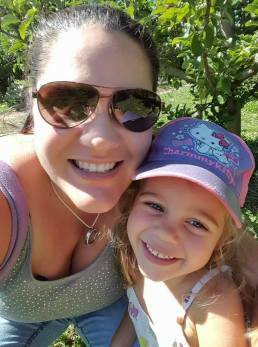 Few allergies, making it ideal for those with skin sensitivities. Trim. Easy to clean. TYPES: Terry, French terry, sherpa, velour, and jersey knits. Microfiber is one of the most common fabrics used in commercial diaper inserts, because it is inexpensive and quite absorbent. Microfiber is made of 75% polyester and 25% polyamide. What's unique about microfiber is that it is a synthetic (man-made) material that is made of non-absorbent fibers. Yes, you read that right! The fibers do not actually absorb liquid, but the way that the fibers are twisted together creates millions of tiny pockets that grab and hold onto liquid, creating a thirsty fabric, perfect for situations where you need quick absorption. Not all microfibers are created equal - while some microfiber terrycloths absorb 2 to 4x their weight in liquid, the newest ones from Wazoodle will absorb up to 8x their weight. PROS: Inexpensive and easy to find, quick absorption, very absorbent, dries quickly, gets more absobent with use. CONS: can't be placed right next to baby's skin as it can make their skin dry, feels rough, can be subject to compression (leaks from squishing!). Also can get stinky since it's susceptible to detergent and urine build-ups over time. CONS: Must be sandwiched between other layers of fabric, more expensive than microfiber. Only available from Wazoodle Fabrics. Zorb II is a Zorb fabric that is sandwiched between bamboo/cotton outer layers, which means that it can be used in single layer prefolds, fitted diapers, and more. 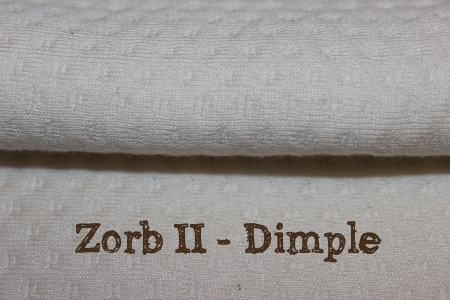 A single layer of Zorb II can replace 2 layers of microfiber terry and up to 4 layers of cotton or bamboo French terry. CONS: Some shrinkage. More expensive than microfiber (around $11/yard). Only available from Wazoodle Fabrics. The most common fabrics used in cloth diaper inserts are cotton and bamboo fleece and French terry fabrics. These are affordable, durable, and effective. I was really surprised to learn that sherpa & velour are just variations of French terry fabric - they just have different finishes applied to the loops! Below are some of the fabric types commonly used for diaper sewing, including making cloth diaper inserts. French Terry is a stretchy knit fabric with a smooth knit side and loops on the other side. Is a popular material for all parts of the diaper, including fitteds, prefolds, and inserts/doublers. It can be used with terry loops facing out or in depending on your preference. You may hear people talk about burley knit terry, but it isn't actually a fabric type. 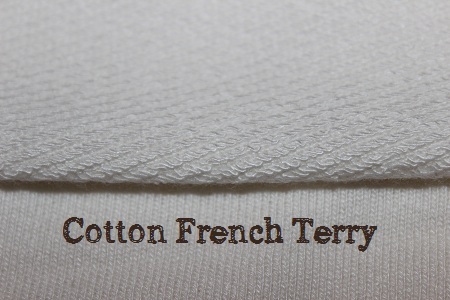 It is often used to describe a French terry with thicker, larger loops, and it is heavier. Burley knit terry is quite thick and absorbent, and is usually used in inserts, rather than the body of the diaper, because of the bulk. CONS: Shrinks 5 to 10% lengthwise (depending on fiber), so best to pre-wash it. 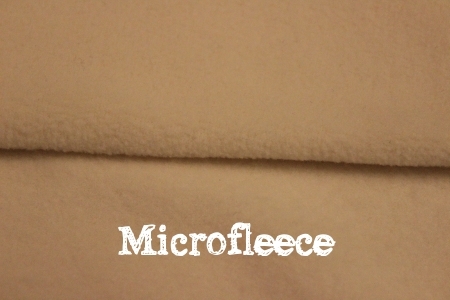 Fleece is a knit fabric with a smooth outer finish and a soft inner side. The soft, fluffy side is created from French terry that has been brushed to create a soft, fleecy side, like the inside of a sweat shirt. CONS: more expensive, hard to find in prints, usually shrinks length-wise. Fibers: Cotton, bamboo and hemp. Sherpa is a French knit terry with a smooth knit side and a luxuriously soft and cuddly outside. The large terry loops are brushed and washed, creating a soft and absorbent pile. Because it stays soft, it is often used for diaper inners and cloth wipes. Velour is a knit terry with a smooth knit underside, and a velvety soft, dense surface. It is made from shearing the loops off, and then brushing them to a soft finish. 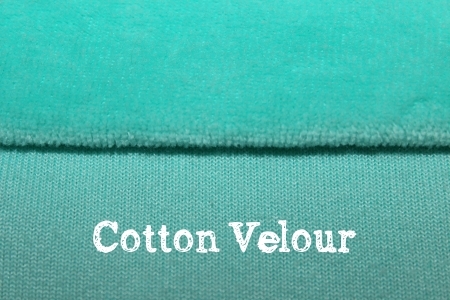 Velour is usually used on top of soakers/inserts and as the inner lining in fitteds and AIOs because it provides a luxurious, soft feel against baby's bottom. Most velour used in cloth diapers has a polyester backing which makes it more durable, since natural fiber velours break down quickly and can become crunchy over time. Pros: Luxurious, soft, natural material. 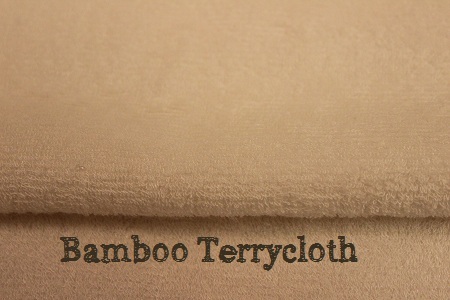 With terrycloth, both sides of this fabric have loops, the same as the fabric used in your bath towels. 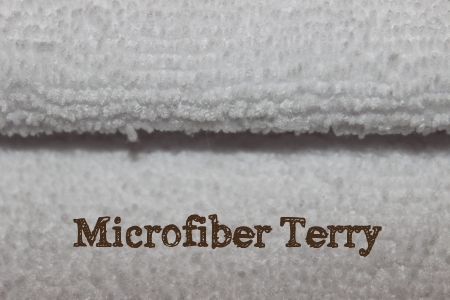 With the exception of microfiber terry, terrycloth is not usually used in cloth diapers. Pros: Thick and thirsty, easy to find (especially if you upcycle towels! ), inexpensive. Where Can I Buy Cloth Diaper Fabrics? 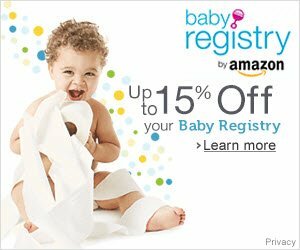 Amazon.com is another great place to purchase diaper-making supplies, and has free shipping on most orders over $25! Simplifi Fabrics, which carries euro knits, PUL, snaps, and lots of bamboo and other diaper fabrics. You can find a longer list of businesses, as well as helpful tips for buying cloth diaper fabrics here. If you are making all-in-twos or lay-in inserts, you may wish to make stay-dry diaper inserts to keep your baby's bottom free of diaper rashes. To make a stay-dry insert, you'll need to top your insert with a layer of wicking fabric. What does "wicking" mean? Acccording to the FabricLink Textile Dictionary, it is the ability of a fiber or a fabric to disperse moisture and allow it to pass through to the surface of the fabric underneath. This means that your baby's bum feels dry even when the insert below is wet. Note: pocket diapers are made with an inner layer of wicking fabric, so if you're using pockets, this layer won't be necessary on your inserts. The following are some wicking fabrics. Microfleece is a 100% polyester fabric that has a soft plush finish, but it can quickly pill, resulting in diapers that look worn. Pros: Does not fray or unravel, so you don't need to finish the edges. Does not shrink. Soft, comfortable and stain resistant. Inexpensive. Cons: Can be susceptible to detergent build-up, making it stinky. Pills and loses soft finish over time. 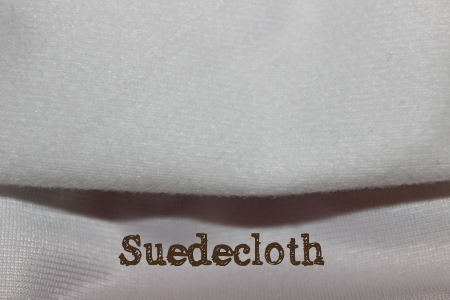 Suedecloth is another 100% polyester fabric that also works well as a stay-dry fabric. Suedecloth is thinner than microfleece, and quickly wicks moisture away from your baby. Suedecloth is an effective stay-dry barrier that stays looking new for a long time. PROS: Inexpensive, does not pill, stain resistant and easy clean-up. CONS: Can be susceptible to detergent build-up. Sometimes associated with skin sensitivities. Athletic wicking material, which can also be called pique, is a very light-weight, silky smooth fabric that was originally designed to keep the skin of runners and cyclists cool and dry. 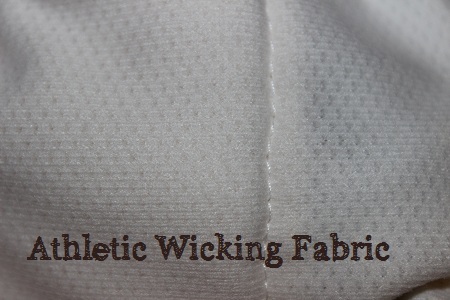 Athletic wicking material is the most recent addition to the stay-dry diaper fabric repertoire, and is being used by some high-end diaper makers for pockets and insert tops. It creates a very effective moisture barrier and a trim, lightweight diaper. CONS: Can pill over time or wear thin. TYPES: There are lots of brand names, but they all work similarly. Be sure to either pre-shrink your material, or add extra length due to shrinkage! Wash your fabric on hot, and dry on high-heat at least once. You'll be washing your diapers on hot, so be sure to use the same temperature and laundry soda that you plan to use later! Check with the fabric seller or manufacturer to understand how much shrinkage to expect, and whether the fabric (or fiber) has been pre-shrunk. Red + White = Pink? Be sure to check colored fabric for color-fastness. The last thing you want is for your new red diaper to run all over your white prefolds. When working with knits, be sure to invest in a ball-point needle(s) for your sewing machine or serger. Regular needles break the fibers in the knit, which can create snags and tears, especially after use! If you're using a serger, have fun with variegated or colored thread - it can be an inexpensive way to dress up what would otherwise be boring white diapers! If you don't have a serger, use a wide zig-zag stitch to finish the edges. Make sure to trim all edges smooth before starting. You may be wondering: What fabrics should I use? What order should I place the fabrics in? The joy of making your own inserts is being able to customize them based on your preferences and your budget! If you're looking for inspiration on inserts, check out some of the listings for popular hand-made diapers on Hyena Cart, a site where work-at-home diaper makers can sell their creations. bumGenius makes a 3-layer microfiber terry insert for their one-size pocket diapers. These inserts are 5.5" wide by 15.75" long, and the end has snaps to help keep it folded down for the shorter rise settings on their pocket diapers. If you want to make a tri-fold style insert, similar to a prefold, consider the following dimensions, based on pre-folds. Tri-fold inserts are especially effective for heavier fabrics, such as hemp, that would otherwise take a long time to dry. Preemie (4-9 lbs) - 9.5 x 13"
Infant (7-20 lbs) - 12 x 16"
Baby (15 to 40 lbs) - 14x21"
I made cotton sherpa tri-fold inserts (shown above), using 2 layers of sherpa serged together in 12x16" size and while they would be bulky on a newborn, they worked well to stuff in most one-size pockets or to lay-in all my diaper covers. 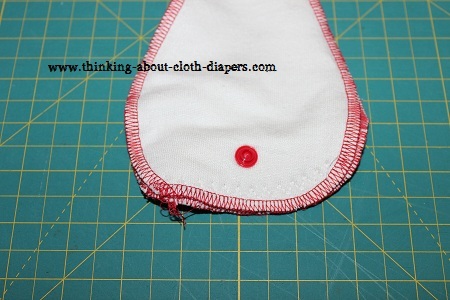 Here's a cute tutorial from SeeKateSew, which includes a pattern to make gDiaper inserts. Creating inserts for a heavy-wetter can be a challenge! While you may want as many as 9 layers of fabric, don't try to sew them all together in a single layer or they will take FOREVER to dry! For faster-drying inserts, try sewing only 2 to 3 layers together at a time, and then zig-zagging or snapping the insert layers together after the fact, as shown below. (This is called a petal soaker). This can be especially effective for all-in-two diapers, but also works well for pockets, and even for boosters for all-in-ones! I love snap-in inserts (shown above)! After stuffing pockets every night for months, our discovery of all-in-twos was such a welcome relief! 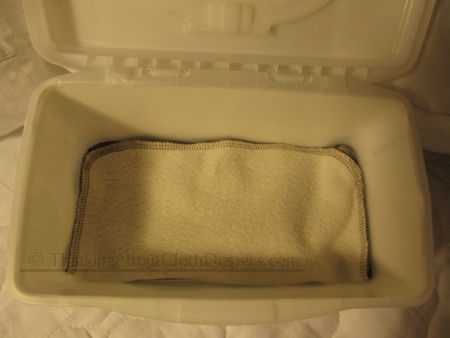 Adding a snap to your diaper and to your insert can make for a quick and easy diaper change. Plus, it can simplify laundry a lot too! In most cases, you won't even have to unsnap the inserts before washing, although your diapers will last longer if you do. 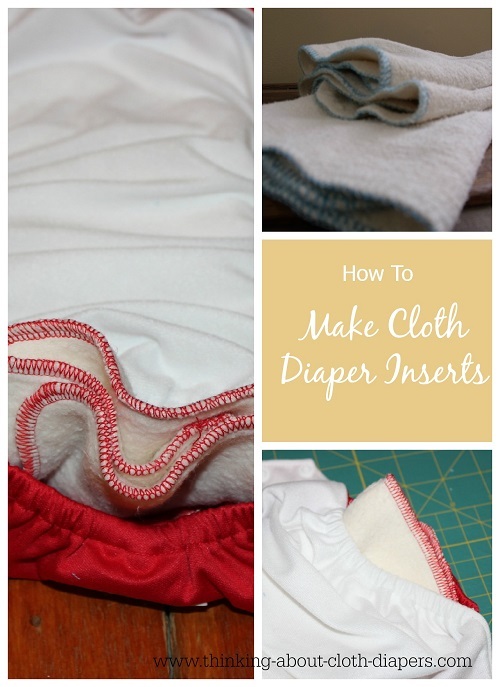 Budget Cloth Diapers: How to Make Cloth Diaper Inserts with Materials You Already Have - we highlight some common household items that can be re-purposed for affordable cloth diaper inserts. 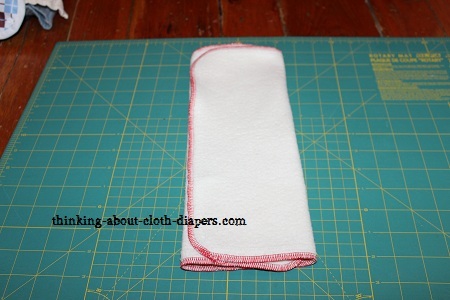 Want to make cloth wipes too? A perfect project to practice your sewing skills, and oh-so-practical too! Check out our tutorial here.